Hella still make domes for the RTK1 according to our resident Hella expert Chris! No part numbers yet....but working on it! If you need to order, I would reccomend contacing my local Hella agent Furneaux Riddal http://www.furneauxriddall.com who assisted me when I was looking for my amber one. This one? Hmm possibly,the base is different i wonder if there is a number moulded onto the dome? 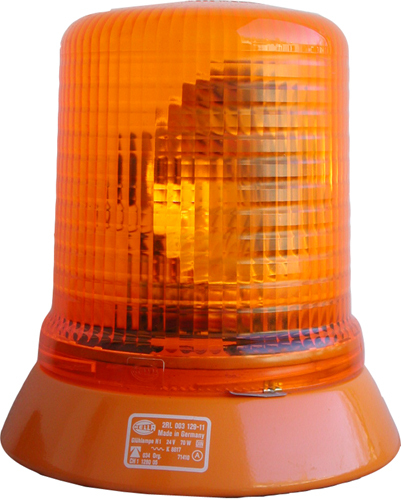 Yes, the KLJ 80 is the correct dome for your siren. The domes were used on several different bases. Your existing one will have one located on the bottom outer or inner edge or on the top I think. Let us know how you get one. Greetings from the Scottish Borders. 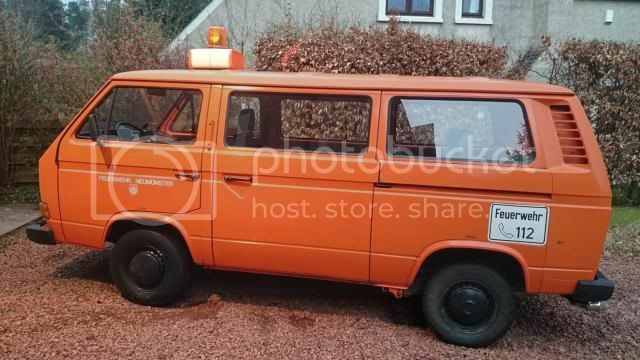 Helga my air-cooled Feuerwehr T3 from Neumunster is alive and well. I have taken to not running her in the winter, after getting a few rust spots the first winter after moving up from England, so now I have a Citroen Berlingo as the daily-driver. I would like to do the blue to amber conversion for the dome on my RTK3 siren unit. Do you think there is any chance they are till available from Hella? Long time no post! Glad you are settled in in your new location. Yes i reckon a phonecall to your friendly local Hellla agent will give you the amber equivalent. Bet they still do them! I have a whole multimedia system I was planning to install (discretely) and run from a rear view mirror based LCD monitor, and, and. Thanks for the Hella tip. I shall call this week, and when I get the amber dome I will post a picture. 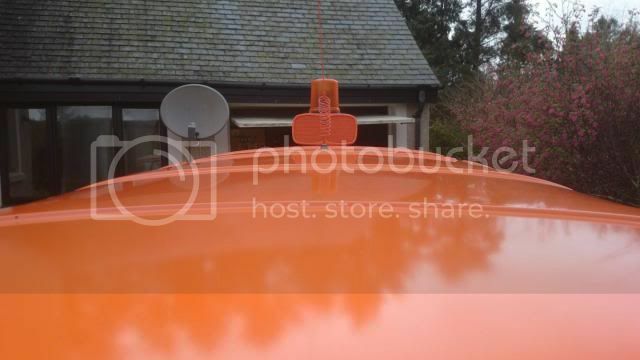 I am pleased to report I sourced a new old stock Hella orange beacon cover from Gemany, that fits my RTK3 siren unit, and I have uploaded pictures to the photobucket. It has the Hella Part # 9EL 855 097-001 and came in at about £30 delivered. If anybody wants the supplier details please PM me. Initially I was a bit perturbed it wasnt exactly the shape of the blue original, being more 'boxy' and is also frosted, but I think it suits the right-angular lines of the van well, and is fine for going about without getting noticed by the police, and looks quite smart. She looks smart! I took my original blue lens off and replaced it with a new blue one and at the same time bought an orange one (the same as yours) just in case the Police got a bit iffy with me; I still carry it as a spare but I now have a blue tailored cover over my blue lens but this has now shrunk over a number of years so I might have to pop my orange one on! A word of warning though, when I had my orange lens on I thought great I can now turn the lens on and use it and soon learned the errors of my ways when I pressed my horn not realising this would not active the horn, but activates the siren which sounded when the beacon was illuminated. This was outside Fratton station in Portsmouth with a Police car nearby, but I made a prompt exit after that incident and was fortunately not followed.